This article aims to define organisational culture and explain why it is important to patients, carers and those working in healthcare environments. Organisational culture is not a new concept and the literature on the subject is well-established. However, because of the changing dynamics of the NHS, there has been a shift away from ‘what’ the NHS stands for, often relating to its history and rituals, to ‘who’ it functions for, including how healthcare professionals such as nurses can develop and drive the organisational culture. 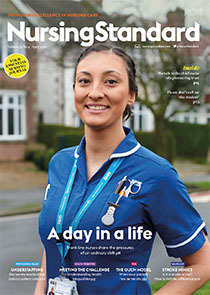 The article seeks to assist nurses in understanding the role of organisational culture, as well as implementing its main principles in the workplace.